Penny’s Play House! For dogs to play or stay! 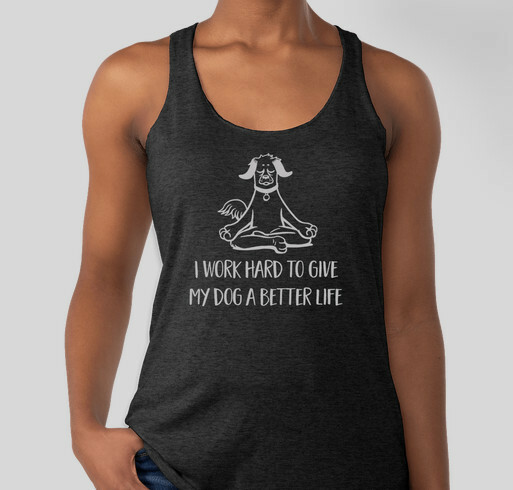 Buy a shirt to fund your dogs' dream! All funds raised will be paid directly to Chelsea Thompson for funding penny’s play house. We’re selling shirts to help fund our dream of opening a doggy daycare, dog park, and doggy spa. We live in CT and the winters are freezing, the summers are hot, and fall and spring aren’t prime weather for a dog park. We would like to open our own doggy daycare, doggy spa, and indoor dog park. This would making taking your dogs to the dog park more fun! You would never have to check the weather, worry if it’s muddy, or bring toys. In my area, the dog park is always muddy and it makes bringing Penny to the dog park a disaster. It’s a disaster for the car, the house, and the chaos of giving her a bath after. An indoor dog park will solve all the problems and make going to the dog park fun! In addition, a doggy spa will be in house for all your dog’s grooming needs and a daycare center for your furry children can play while you’re at work! I support Chelsea and her beautiful mind, she will do great things! Share Why You Support "Penny’s Play House! For dogs to play or stay!"